In the pre-internet era, when out-of-print books were difficult to find, my grandma would tell me about the books that she loved when she was growing up. 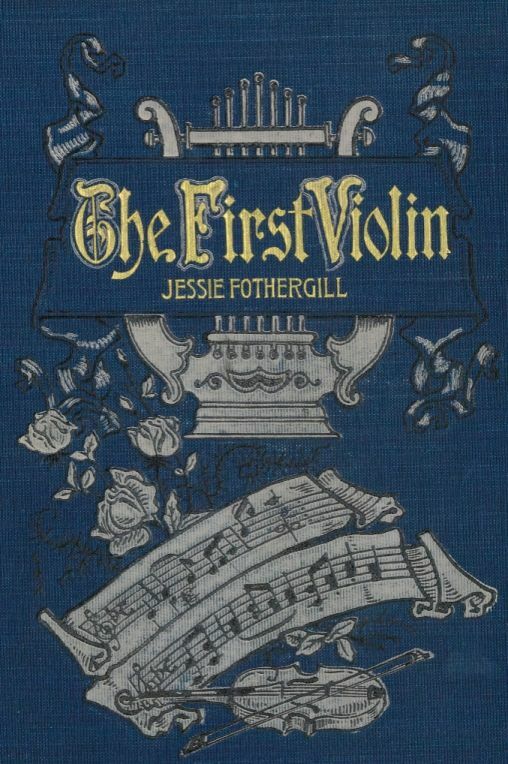 One of her favorites was First Violin by Jessie Fothergill. Of course nowadays this book, which seemed so impossible to locate when I was a child, is easy to access and completely free. I finally got around to reading it, and was very glad I did, because I thoroughly enjoyed it. If I had read it when I was a child or teenager, I can easily imagine it becoming one of my favorite books. First Violin was originally published in 1877, and was quite popular in the late 19th and early 20th centuries. Although it is rather G-rated by today’s standards, it was apparently somewhat controversial at the time, because it describes (but does not condemn) an affair by a married woman. 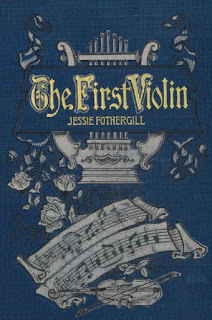 The main plot line follows a handsome violinist with a mysterious past, Eugen Courvoisier. Much of the tension in the book comes from slowly discovering his backstory. The prose tends towards melodrama, but May’s dismay and alarm here are not unreasonable given her situation. In general, although the book takes place in a world of heightened emotion, I found the characters’ reactions, descriptions, and conversations convincing. Less believable are the improbable coincidences on which the plot hinges (several of which involve extreme weather). It’s probably better not to give spoilers, because part of the fun of the book is finding out how various suspenseful situations resolve. I’ll just say that events are configured for maximum drama in several emotionally tense scenes, and that the book includes multiple highly unlikely encounters that strain credibility. Nevertheless, I found the book as a whole compelling, with memorable, although somewhat flat, characters. The story raises some interesting questions on the meaning of honor, with the married-woman-affair subplot, dishonorable but utterly sympathetic, providing a counterpoint to Eugen’s rigid acceptance of the constraints of duty. For the most part, though, it’s just a delightful read, one I didn’t want to put down until the very end.